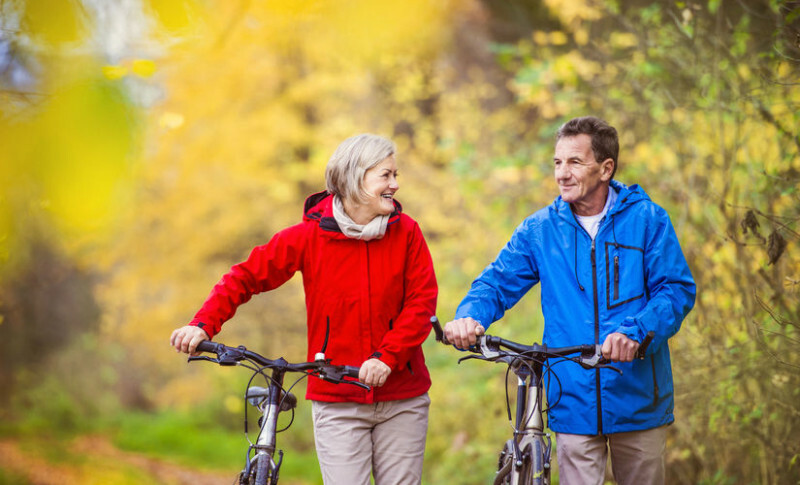 When Should You Begin Collecting Social Security Benefits? After our post about Profit Motives, one of our awesome clients requested that we post our thoughts on when is the best time to begin collecting Social Security. Ask and you shall receive! We’re going to discuss at what age taxpayers should start collecting Social Security. Fair warning, the short answer to this intriguing question is our favorite tax accountant reply – IT DEPENDS! Your work record, meaning the amount of year’s you’ve worked and contributed to Social Security. Let’s say Tom and Mary are thinking about signing up for their Social Security benefits, but need to decide whose record their benefits will be based off of. Tom worked for 35 years, while Mary only worked for 15 years. Tom’s record is going to be higher, and if Mary bases her benefit off of his record, she would receive about 50% of his benefits. 50% of Tom’s record’s benefits might be higher than 100% of Mary’s. The dollar amount of your monthly benefit is calculated based on your years of earning (working years) and a wage index factor. The wage index factor is the result of dividing the Average Wage for 60-year-olds by the Average Wage each year. 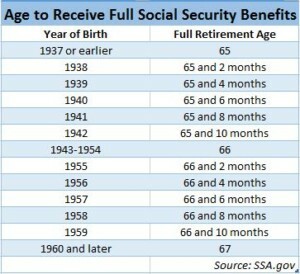 So, when can taxpayers begin collecting Social Security benefits? (Note we said CAN not SHOULD). Taxpayers CAN begin receiving Social Security benefits at age 62. Once you attain that age, you can head over to the Social Security office, wait in line, and start receiving your monthly benefits. Do you plan on continuing to work, and will you earn in excess of the annual earnings limit of $15,720? Is your spouse is still working, and will your income cause a larger portion of your social security benefits to be subject to the federal income tax? Do you have a long life expectancy? Or, conversely, do you have health issues and a shorter life expectancy. If you wait until FRA to collect your benefits, they are increased by about 33% each month. If you wait until age 70, your benefits are 65% higher than if you start collecting benefits at 62. Our resident Individual Tax Specialist, Chris Bradford often meets with clients who want to begin collecting their Social Security benefits as soon as they turn 62. They want to start the payback from all those years of dutifully paying their FICA taxes, even though they plan on continuing to work. Chris knows better and she lovingly informs her clients that this isn’t such a great strategy. Chris patiently explains that if you begin collecting your Social Security benefits before FRA, your wages cannot be higher than $15,720 and if they are the Social Security Administration will reduce your benefit payment by $1 for every $2 you earn above $15,720. Once you attain FRA and are still working, there is NO LIMIT to the amount that you can earn and the give-back provisions discussed in the preceding sentence no longer apply. We’d like to highlight here that the limitation is a wage limitation and that is does NOT include passive investment income, rental income, and other retirement benefits of pensions. The limitation ONLY applies to W-2 compensation and other earnings subject to the self-employment tax. So, if you’re approaching age 62, you’ve got some decisions to make. Why cut back on your work when you are healthy and able to work? By doing so, you are effectively reducing your Social Security benefits and your wages. Your benefits aren’t going anywhere, and there is nothing on the budget, policy or tax radar screens to indicate that either political party has the power, will or intent to eliminate Social Security benefits. 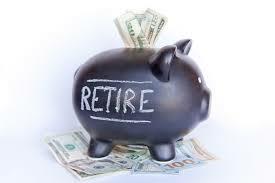 Keep in mind that the Social Security Administration calculates the reductions, so that regardless of when you begin collecting, you will receive on average about the same total benefit amount over the remaining years of your life. 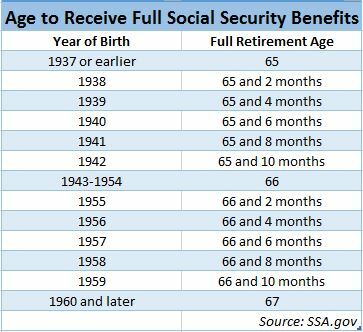 Basically, if you wait until FRA (and you live long enough), you shouldn’t miss out on any Social Security Benefits. Let’s go back to our couple, Tom and Mary. Mary just turned 62 and she wants to start collecting Social Security benefits on Tom’s work record. Tom is 63. Because Mary claimed benefits on her spouse’s record before she reached FRA, she is NOT permitted to delay or switch to her own record later. Also, claiming benefits on a spouse’s record before you reach FRA means that your benefits will not increase when you reach FRA. Here’s another reason to wait to collect your Social Security benefits. Let’s say that Tom started collecting his Social Security benefits at age 63, before FRA. When he passes away at age 80, and Mary is still alive, Mary is eligible to collect Tom’s monthly benefit amount as a survivor benefit, but those benefits will be less because Tom started taking his benefits before FRA. If you are married upon your death, your spouse will continue to receive the larger of your Social Security benefit or their spouse’s. This means if you take social security at age 62 and your spouse’s benefit is based on your record, your surviving spouse will receive a significantly reduced benefit upon your death. Before you make a decision about your Social Security benefits, it’s a great idea to look at your net worth, all retirement income sources and your health situation. There is no cookie cutter solution or one size fits all method to determine when you should start collecting Social Security benefits. We recommend that you meet with a competent advisor, like your accountants at Franty and Company. We can help analyze your situation and determine when is the best time for you to start collecting your Social Security benefits.